Determining a specific wine’s alcohol content isn’t something that many people look into or really have the desire to know about. But it’s something that should be attained in regards of knowing your personal limit of alcohol you should be consuming. In a way, it’s like determining your own safe zone. Today, we are going to go over how to determine your wine’s alcohol content. 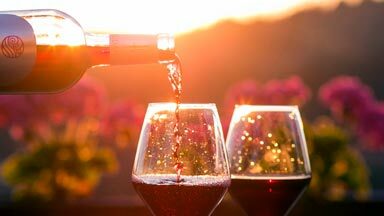 Why Is Determining Your Wine’s Alcohol Content Important? Testing your wine’s alcohol content is quite an important task because that guideline will give you what certain qualifications are needed in order for you to know how much is literally too much - simple as that! Now, when it comes to really wanting to know your wine’s alcohol content, there will be two readings you will have to take and the device in which you will need to use to take the reading is what we call a wine hydrometer. Now, one reading has to be taken before the wine fermentation has begun and the other reading must take place after the fermentation is over. Now, when a person compares the two readings together, the result will define how much alcohol content is in their wine. Sounds pretty simple, doesn’t it? Let me go into a bit more detail in regards on how this particular process is completed. The first step will involve the before reading. The reading must happen at the very same time you place the yeast to your wine. Now, the hydrometer has a scale and along it, which will state out “Potential Alcohol”. Now, when you are at this process, you should be receiving a reading of around ten to thirteen percent. Pretty important if you have your friends or family indulge in some wine tasting! Keep in mind that the reading is at the point now where the surface will cross the scale. This first reading will indicate how much alcohol your wine can have if and only if sugars are fermented. Please be sure to write whatever number you get from the first reading, so you can go back and compare it against the second number. The second step will involve taking the reading after the fermentation has been completed. Keep in mind that by this time, the reading on your scale should be around +1 to -1 regarding the “Potential Alcohol Scale”. Now what you will need to do next is take the first number via the reading from the first wine test and subtract it from the second number of your reading and the result will be your wine alcohol content number level. Say, for instance your first reading was at thirteen percent and your second reading came in at two percent. The answer, as well your alcohol level content for the finished wine process would be eleven percent. Located in Coopersville, MI, Alliance Analytical Laboratories is a wine and alcohol testing lab with national and international capabilities. Contact us today to learn how to determine your wine’s alcohol content and to request a quote or call us directly at (616) 837-7670.